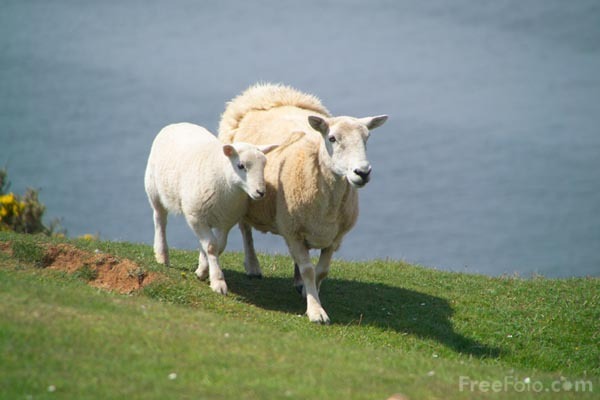 One of my favorite symbols used in the Bible is that of sheep and lambs. I think one reason I love the parables and lessons taught using lambs is because when I was growing up, I showed lambs in 4-H. I have an understanding of how sheep operate, so these stories make perfect sense to me. From the ninety and nine in the fold. And earnestly hope and pray? They lead the lambs astray. Wherever the sheep may stray. It won’t take long till the lambs are as wrong as they. So who is the sheep in comparison to a family? One of the parents. The lamb is a child. As this poem points out, when sheep [parents] go wrong, lambs [children] follow. It is utterly important that we, the parents, lead by correct example because our children will follow our example. “Monkey see, monkey do” works, “do as I say and not as I do” does not. Last night, my husband and I were visiting with some friends. We were talking about things parents do that children grow up to resent. One made the observation that when a parent does something that leads the child down the wrong path, often those children end up turning against the church (if the parent is religious). Children for the most part do not want to be estranged from parents, so to blame a parent for their mistakes can be too painful. It is easier to pass that blame to something that strongly guided parents, and for many that is religion. So if you go astray in an area, not only do you lead your children down that path behind you, but you run the risk of your children blaming something like religion for your misteps. When you do the day to day things like family prayers, family scripture study, family lessons, your children will rarely look back on what you did and remember the details. They will not remember the words you said or the scripture you shared in specifics (most of the time–there will likely be a few profound moments they hold on to, but for the most part, specifics will escape them). What they will remember is your consistency (or lack thereof). They won’t remember the words of your prayers, but they will remember that you prayed. That is the path you showed them, and that is the path they will follow you down. Isn’t that great that an 8 year old would make that conclusion? One strand of a rope is not very strong, but all of the strands together make a very strong rope. The whole family working together makes a strong, cohesive unit. Be a good sheep. Walk the paths you want your children to walk. Lambs follow their parents, from time management, to hobbies, to spirituality. Be sure you take them down paths you want them to follow. Thank you for this! I completely agree and pray daily for God's strength to be the kind of example He wants me to be for my young son. I was speaking with some incredible ladies on exactly this subject at a Bible Study on Tuesday. I don't believe in coincidence! Really enjoy your blog. Keep writing!